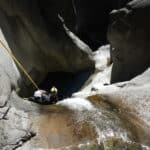 Join IFMGA certified Guide, Olivier, for a day of Guided Canyoning and Canyon Hiking designed for beginners on the beautiful, scenic Reunion Island. Come and join me for a day of Guided Canyoning on the beautiful Reunion Island. Reunion Island is famous for its Canyons. There are so many that it would be impossible to see them all in one visit. Because of the variety of canyons on the island, it is also easy to pick and choose which ones to explore based on your skill level. For Beginners, there are 3 amazing canyons to choose from: The Riviere des Roches Canyon, Sainte Suzanne Canyon and the Langevin Canyon. Each canyon offers its own adventure, and has its own charms. But what all three canyons have in common is that no canyoning experience is necessary to enjoy them. None at all. The Riviere des Roches Canyon offers more of a Canyon Hiking. Mainly because there are few vertical obstacles to worry about. Also, any Jumps and Slides you do encounter are entirely optional. You don’t have to do anything you don’t want to. You can also enjoy this activity with little to no rope usage as well. So if you just want to walk through this beautiful canyon and enjoy the sites, this trip will be perfect for you. 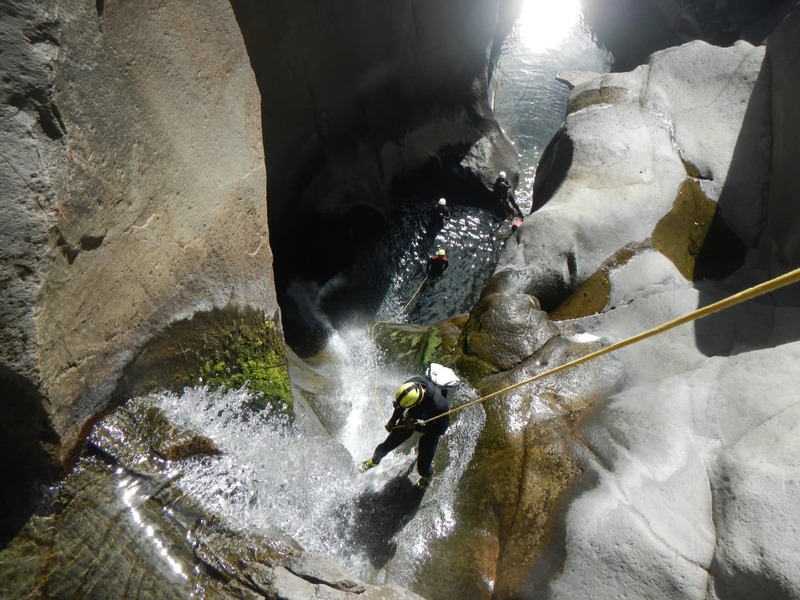 For those people more interested in the thrill of Canyoning but have no prior experience, look no further than Sainte Suzanne and Langevin. These canyons are filled with small Abseils, Slides, Jumps and Tyroleans, all of which are optional. Thus making these canyons perfect for the whole family. Canyoning is definitely one of the biggest and best highlights of Reunion Island. You are able to feel the thrill of nature’s most stunning formations, while also enjoying their undeniable beauty. So come and let me guide you through some of the island’s most attractive, yet least strenuous canyons. I’ll be awaiting your message. And if you are interested in something more challenging, you can join me on one of our Sportive Canyoning Trips here. An ability to swim is mandatory. A swim suit, towel, food and drinks, hiking shoes or tennis shoes are required. Technical equipment provided includes: helmet, harness, descender, carabiners, and wet suit. Photos and videos of the trip will also be provided. Riviere des Roches Canyon is 50 Euros per person. Sainte Suzanne Canyon is 55 Euros per person. Langevin Canyon is 55 Euros per person. Special prices are also offered to groups of 5 people or more. There are also student rates and loyalty offers. I've worked for more than 20 years as mountain rescuer in PGHM in the Alps, Pyrenees and Réunion. Now I devote my time to make you discover in all safety the hidden and wild beauty of the Réunion island. I want to share with you my passion for mountain sports. 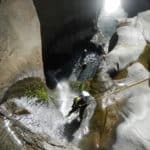 I hold the following professional certifications that allow me to supervise mountain sports: UIAGM/IFMGA high mountain guide, canyoning instructor (DEJEPS canyoning) and climbing instructor (DEJEPS climbing and DEJEPS climbing in natural environments). The Réunion island is known mainly for its magnificent coasts and beaches and the volcano "Piton de la Fournaise". But it's also filled with magnificent natural sites, wild and preserved, that I will help you to discover. Good for beginners and single pitch climbing. Short routes but easy approach. Olivier was cool, on time and friendly! Excellent. Olivier made us feel safe through out our trip and it was a lot of fun. Great experience. 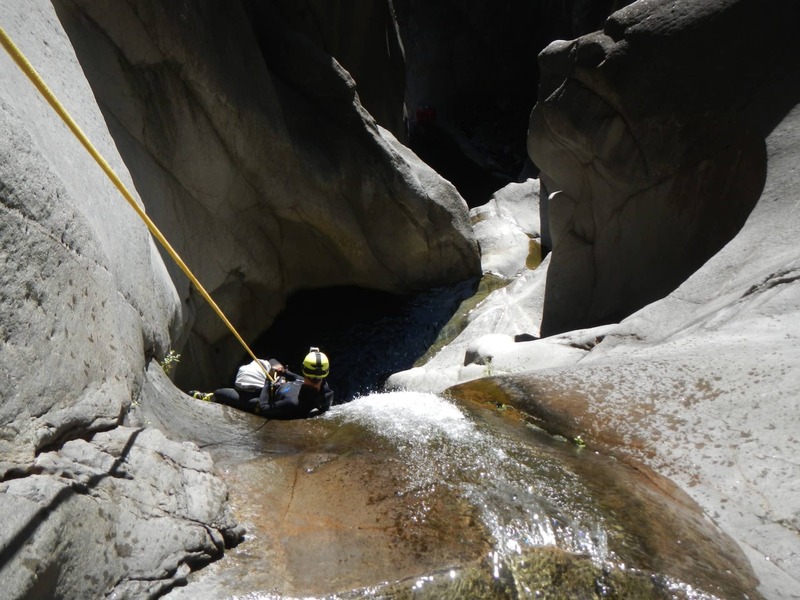 Canyoning - 1 day - Interm.